Turkey’s President Recep Tayyip Erdoğan said yesterday Istanbul’s Hagia Sophia should be re-titled as a mosque instead of a museum after tomorrow’s elections, but did not say whether the status of the landmark site would be changed. Hagia Sophia, a Unesco World Heritage Site, was the foremost cathedral in Christendom for 900 years before becoming one of Islam’s greatest mosques for 500 years until 1935, when it was converted to a museum. 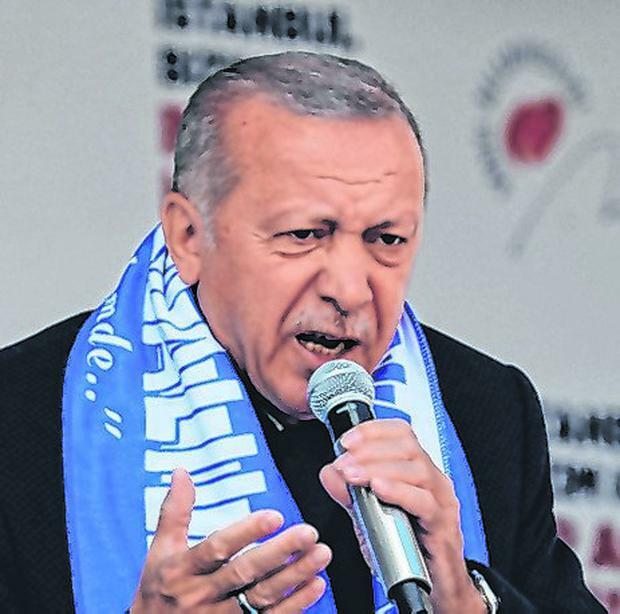 In the lead-up to local elections tomorrow, Mr Erdoğan has appealed to religious sentiments to drum up support for his party, invoking the New Zealand mosque killings as examples of the threats faced by Turkey, and Islam. He has also brought up the issue of Hagia Sophia several times. “After elections, we will change Hagia Sophia’s name from museum to mosque,” he told a crowd in Istanbul.